Many people with bipolar receive atypical antipsychotics with mood stabilizers. As in many areas of medicine, we have relatively little data about longer-term outcomes when people receive this combination. If an atypical antipsychotic is added to a mood stabilizer to control a manic episode, how long should that combination be prescribed? A recent study conducted by the Canadian Mood and Anxiety Treatment group (CANMAT) seems to suggest that, “Six Months Is Long Enough for Adjunctive Antipsychotics After Resolution of Mania,” at least according to a summary of the article that appeared in the New England Journal of Medicine’s Journal Watch for Psychiatry. Since many, if not most, patients with bipolar receive atypical antipsychotic treatment for longer than six months, this would seem to be on important finding. Certainly the editors of Journal Watch felt so, since they selected it as one of a handful of the most important articles in 2016. But what was the basis for this finding? The study followed a total of 159 patients over a year. The initial design had been to study three times as many patients, but recruitment was difficult. It looked at bipolar one patients who had received an add-on atypical antipsychotic for treatment of an acute manic episode. Only two atypical antipsychotics were studied: risperidone and olanzapine. In keeping with the smaller sample size, the findings were actually fairly limited. 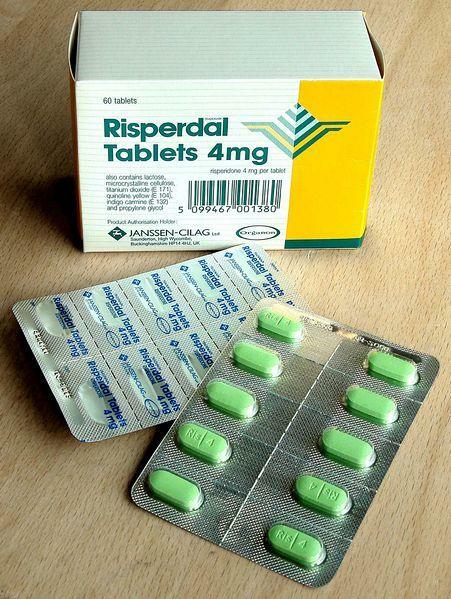 Risperidone or olanzapine continued for 24 weeks reduced the risk of a major mood episode: mania or major depression. The study did not look at the question of level of functioning or the impact of milder mood episodes that are often associated with significant impairment: chronic mild depression or hypomania. Only 53 patients stayed in the study through the planned 52 week follow-up. There were 29 mood episodes (depression=22, mania=7) in this group. Given the small number of manic episodes it is not surprising that risperidone, which has never been shown to be effective at preventing or treating depressive episodes, definitely was not associated with a significant reduction in the risk of a mood episode in the period between 24 and 52 weeks. The authors note that olanzapine might have had some benefit, but the study had inadequate power to answer the question. An atypical antipsychotic without clear antidepressant efficacy which is added to a therapeutic dose of a mood stabilizer in a patient with an acute manic episode should not be continued for more than 24 weeks without clear evidence that it is helpful. It is not clear how long to continue an atypical antipsychotic, such as lurasidone, quetiapine and olanzapine which has some antidepressant effects. Yatham LN, Beaulieu S, Schaffer A, Kauer-Sant’Anna M, Kapczinski F, Lafer B, Sharma V, Parikh SV, Daigneault A, Qian H, Bond DJ, Silverstone PH, Walji N, Milev R, Baruch P, da Cunha A, Quevedo J, Dias R, Kunz M, Young LT, Lam RW, Wong H. Optimal duration of risperidone or olanzapine adjunctive therapy to mood stabilizer following remission of a manic episode: A CANMAT randomized double-blind trial. Mol Psychiatry. 2016 Aug;21(8):1050-6. doi: 10.1038/mp.2015.158. PubMed PMID: 26460229; PubMed Central PMCID: PMC4960445.